As toddlers become preschoolers, they expressing more and more of their own personalities. They have distinct tastes, they are developing language to express themselves (sometimes in embarrassing ways! ), and they are learning to navigate a bigger world. They make friends and begin connecting with more adults beyond the family. Like every age, preschool age is an important time for children’s development in which fathers, mothers, other caregivers, extended family, and many other people guide the child as they develop all parts of themselves. When we have a better sense of how they’re developing, we’re better able to respond and support them in positive ways. Imaginary play is a big part of intellectual development for preschoolers. Children begin to name colors and understand simple counting. They gradually begin to understand the concept of time. Building a strong vocabulary in early childhood is a critical foundation for learning. At age 3, preschoolers typically know about 300 words. That expands to 1,500 words by age 4, and to 2,500 words by age 5. As preschoolers get older, they’ll want more and more independence. That’s best accomplished by maintaining a firm structure and giving them a limited number of choices so they begin learning to make good decisions. Read books aloud every day. Use the Read It guides to discover some high-quality, enjoyable picture books on family relationships. Stimulate language development by talking together and asking open-ended questions about things that interest them. 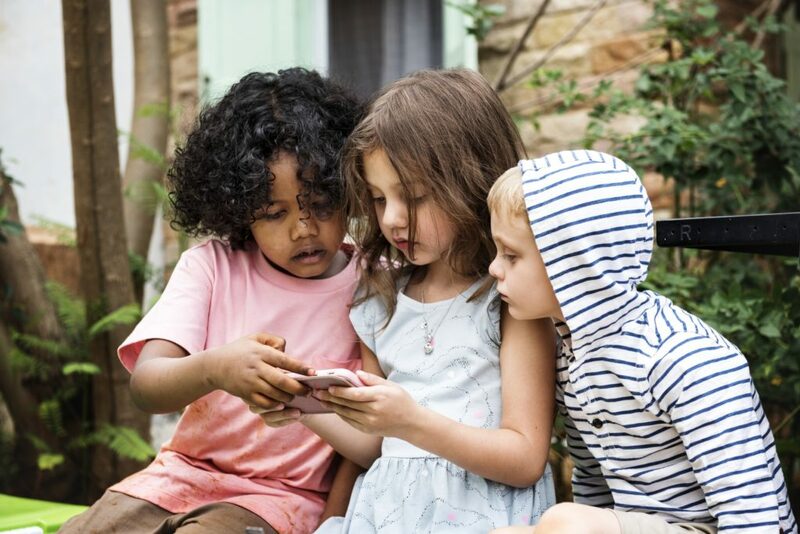 Limit screen time (mobile phones, video games, computers, TVs) so that they develop a broad range of interests and ways of learning and interacting. Make art and music part of your time together, cultivating creativity that stimulates interest, imagination, and learning. Give kids increasing responsibility for taking care of themselves and helping at home—with your support and guidance. They can decide which clothes to wear to school from among the options you offer. Preschoolers are beginning to understand what they are feeling, but they aren’t really able to manage the emotions. They may giggle uncontrollably at awkward times. Moods can change dramatically from minute to minute as preschoolers learn how to manage their emotions. Preschool age kids move easily between fantasy and reality. Imaginary monsters are as frightening to them as a real threat. Fantasy play can include pretend violence (including online games). Interest in fantasy violence and weapons can be normal at this age; it’s not necessarily cause for alarm. Avoid dismissing, joking about, or shaming children for their emotions. (That can lead to stuffing emotions inside.) Instead, help them learn to express and manage their emotions in healthy ways. Teach children strategies for dealing with strong emotions (such as taking deep breaths, taking a break, or counting to 10). If your child’s fantasy play includes weapons or violence, don’t become overly concerned (unless it’s extreme). Rather, use it as a chance to help them start learning the difference between fantasy and reality. See a doctor if your child is extremely or chronically aggressive or fearful. Hopping, climbing, swinging, and doing somersaults begin at this stage. By age 5, many kids can stand on one foot for 10 seconds or more. As much as possible, give your child chances to run, climb, play games with friends, and do other activities that build large motor skills. 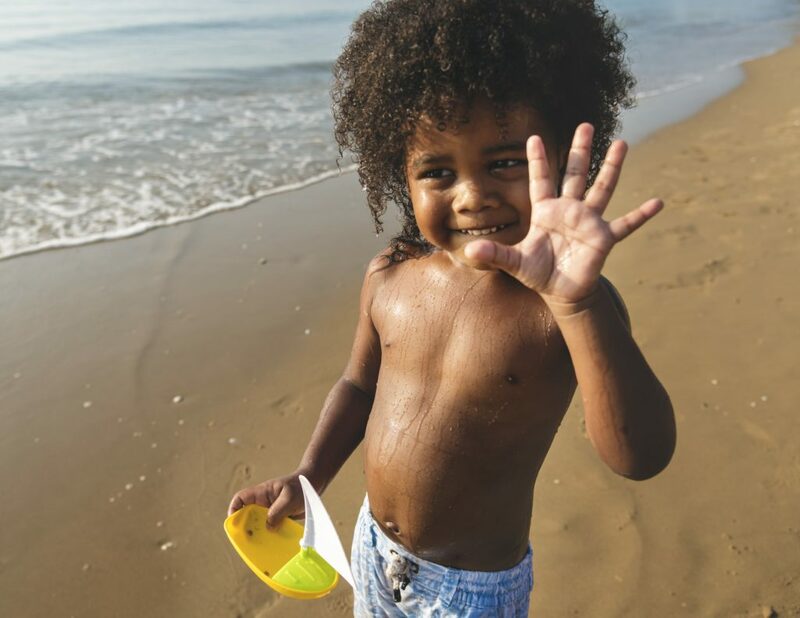 Play together: Catch, tag, dolls, making sand castles, running, riding bikes—whatever you both enjoy. Encourage children to practice small motor skills using safety scissors, building blocks, dice, coloring, and other art projects. Limit screen time. Consider a rule of 30 minutes of active play for every 30 minutes on a screen (or whatever works for your family). Preschoolers shift from “parallel play” to playing together. Often their play focuses more on imagination than toys or games. Imaginary play is one way they “try on” adult roles. Preschool age children are learning to cooperate, solve problems, share, and take turns with others their own age. In the process, they sometimes have to work through conflicts! Preschoolers begin to understand that other people have feelings, and they begin to express empathy and care to friends and family. 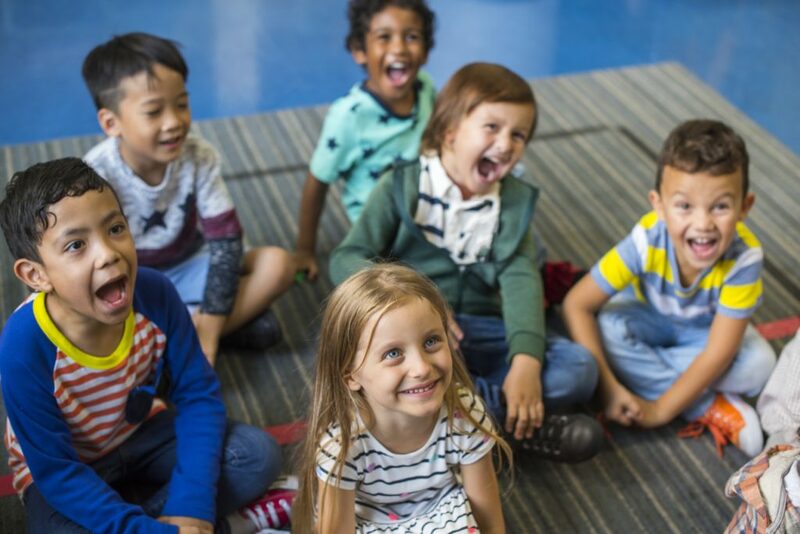 During these years, children also learn about and experience prejudice and discrimination due to race, gender, and age, often from observing them in adults. Preschoolers need to learn how to deal with conflict and how to solve problems while also managing their emotions and controlling their impulses. Imaginary play is an important way children practice for the “real world.” Having imaginary friends is not a sign than your child is lonely. As children are sorting out their relationships with friends, they sometimes hurt each other. Much of that is a normal part of growing up, but watch to be sure some kids are not ganging up or picking on others. More and more, your child will want to spend time with other children. Remember, though, that you are still the “home base” that they return to and need as they learn to build other relationships. Be particularly intentional in reinforcing positive views of people who are different from you and your family. Talk about prejudice and discrimination when you experience or see it so that your child understands that it is not okay. Preschoolers have active imaginations as they experience things they can’t see or touch. They can become enamored by stories and symbols of faith and spirituality. Young children can ask a lot of creative questions: “Why is the sky blue?” “Where does God live?” and “If God created everything, who created God?” They aren’t looking for logical or irrefutable answers; they’re wanting to have a conversation. Encourage them to use their imaginations to think of possible answers. Preschoolers often enjoy acting out heroic stories from religious and spiritual traditions (such as they enjoy imaginary play). Use their interest to tell and reinforce the stories that are important to your family. Treat with respect children’s questions and thoughts about spiritual experiences, commitments, and beliefs. Ask questions to clarify their comments, rather than correcting or judging what they say. Don’t feel like you have to know the answers to kids’ questions about spirituality or religion. Many times when a young child asks a question, they want to talk about the subject—not get an answer. Ask the question back, and see where the conversation goes. If you have family rituals and celebrations, include children in meaningful ways (such as helping to light candles or singing together). Talk with them about why you do what you do. Ask them about how they experience the rituals. Tell stories and read books or sacred texts together that introduce your child to your family’s traditions and beliefs.